1. Issues with Open-GL drivers can sometimes interfere with the client for Thang Online. The following steps should solve most instances of Open-GL errors, especially for users of Intel 810 chipsets. 2. Without the necessary graphics driver that supports Open-GL functionality, Thang Online cannot be run. Please make sure that you have the lastest graphics driver installed for your adapter by visiting the "Driver" section of our website, or follow this link. If updating your driver does not solve the issue, go to the next step. 4. 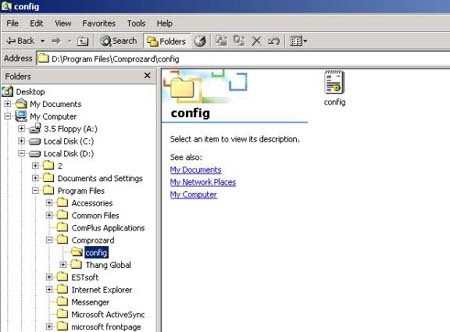 Double-click on config.txt to open the file. 5. Note the value of bpp and hz, as shown within the red square in the screenshot above. 6. Change the numbers to "bpp=16" and "hz=60". Save the changes and close the file. 7. The game client should now run smoothly. If this measure does not solve your Open-GL issues, please contact our technical support team for further assistance. We would like to thank all of our testers who have reported this incident to us in the past. See you all in-game! KI is part of the stats. KI has an ability to receive direct effect by sharing stats, but the most important about KI is supporting ability. It is important to control KI adapt with each battle. Tell more about avatar's stat. Avatar's stats are divided into Power, Intelligence, Stamina, Agility, Sense, and KI. When the level goes up, avatars get extra stats points according to their level (3 points for one level up, 5 points for multiples of five levels). You can use these extra points to strengthen avatars' stats and the way you distribute will effect to your avatar's propensity and using item. - Power: It strengthens basic attack of avatars. - Intelligence: It raises basic MP and the speed of MP recovery. - Stamina: It raises basic HP, the speed of HP recovery, and SP and the speed of HP recovery. - It improves avatars' ability to defend and avoid attacks. - It improves the success of attacks. - KI: It increases KI, the formless power of avatars. Depending on weapon, some stats may be affected and upon change, additional attack attributes may apply when hunting mobs. Xena with Nang - The higher the power is, the stronger the attack level of Nang becomes. Xena with daggers - The higher the sense is, the stronger the attack level of daggers becomes. Aerican with swords - The higher the power and sense are, the stronger the attack level of swords becomes. Aerican with boomerangs - The higher the agility and KI are, the stronger the attack level of boomerangs becomes. Aerican with bow - The higher the agility and sense are, the stronger the attack level becomes. Ririsha with Tar Magic (Tar-Na) - The higher the intelligence and power are, the stronger the Tar-Na becomes. More detail go to guide line. Muru is a monster which can be divided into red Muru and blue Muru. It help the warriors to recover Hp or Mp. Hurting a Muru will help you to save your potion, and also sometimes it will drop tear of Muru that can be used instead of potion. But, Muru doesn't give any experience point so don't think about level up by hurting Muru. What will be happened if avatar die? No level down for death. Hiack order monster will change to Turu after they have 0 Hp, more strong monster will re-burn after MTS. Let's see what kind of monster will be changed? Does the monstart self-destruction when they die? Yes, some monster self-destruction when they die. Avatar could die by Self-destruction since it has high damage. Also some monster do not attack directly but you may be damaged by standing nearby. Why can't I equip certain items? Most items require a certain level/stats. Once you meet the requirements, you will be able to equip them. All the basic function hotkeys are in the Guide menu. What is my computer Spec? Press Start - > Run - > write ' dxdiag' - > ok then you can see your computer spec. Go to start - > [Setting] - > [Control panel] - > [Add/remove program] then choose [Thang Online] click [Change/remove]. You also need to remove Comprozard folder which is in C:Wprogram files. Shortage of memory keep appear why? Shortage of memory, then you can have virtual memory. I get many lags and disconnected in the game. Since lagging is an old and difficult issue of all online games, and caused by many kinds of reasons, we cannot give a clear answer for it. Also, close other programs like MSN messenger or virtual CD player, etc. The last choice will be deleting the whole program and folder of PT, and then installing the updated Client again. Please submit bug report in Customer Service in following case. - Disconnection on moving specific place. - Disconnection where a lot of users in the same place. - Disconnection when you hurt a specific mob. How can I check my graphic card and sound card. Go to [Start] - > [ Setting ] - > [Control panel] -> [System] then go to hardware and click device manager. If you cannot see driver on the list then you have to set correct driver. Tell more about System requirement for Thang. Thang is based on Open GL basic so even if you install DirectX, it is still hard to play. To solve these problems, you have to set Open Gl. You can download latest version in our web site. To change yor password or if you have lost one please go to menu [Account] then > [Lost ID/PW] To find your id or password you have to answer the question which we asked you for register. If you don't know about answer then there is no way you can find your id and password. How long do you keep Id? For stabilization, we delete your account automatically if you don't log in for 6-months period. And also It is very hard to recover your id after delete. Go to [Account] -> [Modify]. Where can I submit Misbehaviors? Spreading rumors, impersonating the GM/ General fraud, abusing, and usage illegal program, Those actions must be submitted to our misbehaviors. Please go to [Support] -> [Complain] -> [Misbehaviors] Make sure you submit correct information. How many characters will I be able to have on my thang account? Answer, You can make 10 accounts. The first account would be your master account, then rest of accounts will be your serve accounts. You can make from home page login main screen "add account". You can also change your master account from [Account] -> [Modify]. If you found the bug during the game, Please submit bug report to [Support]. It will be really helpful if you attach the screen shot and details. Answer, KI is part of the stats. KI has an ability to receive direct effect by sharing stats, but the most important about KI is supporting ability. Tell more about avatar’s stat. Answer, Avatar’s stats are divided into Power, Intelligence, Stamina, Agility, Sense, and KI. When the level goes up, avatars get extra stats points according to their level (3 points for one level up, 5 points for multiples of five levels). You can use these extra points to strengthen avatars’ stats and the way you distribute will effect to your avatar’s propensity and using item. ♣ Power: It strengthens basic attack of avatars. ♣ Intelligence: It raises basic MP and the speed of MP recovery. ♣ Stamina: It raises basic HP, the speed of HP recovery, and SP and the speed of HP recovery. ♣ Agility: It improves avatars’ ability to defend and avoid attacks. ♣ Sense: It improves the success of attacks. ♣ KI: It increases KI, the formless power of avatars. Tell me more about Avatar’s features! -Xena with Nang ? The higher the power is, the stronger the attack level of Nang becomes. -Xena with daggers ? The higher the sense is, the stronger the attack level of daggers becomes. -Aerican with swords - The higher the power and sense are, the stronger the attack level of swords becomes. -Aerican with boomerangs ? The higher the agility and KI are, the stronger the attack level of boomerangs becomes. -Aerican with bow ? The higher the agility and sense are, the stronger the attack level becomes. -Ririsha with Yelba Magic (Yelba-Na) - The higher the intelligence and sense are, the stronger the Yelba-Na becomes. -Ririsha with Tar Magic (Tar-Na) ? The higher the intelligence and power are, the stronger the Tar-Na becomes. -Ririsha with Ohra Magic (Sham-Ohra) - The higher the intelligence and KI are, the stronger the Sham-Ohra becomes. Muru is a monster which can be divided into red Muru and blue Muru. It help the warriors to recover Hp or Mp. Hurting a Muru will help you to save your potion, and also sometimes it will drop tear of Muru that can be used instead of potion. But, Muru doesn’t give any experience point so don’t think about level up by hurting Muru. Hiack order monster will change to Turu after they have 0 Hp, more strong monster will re-burn after MTS. Let’s see what kind of monster will be changed? Why can’t I equip certain items? - Agility: It improves avatars' ability to defend and avoid attacks. - Sense: It improves the success of attacks.